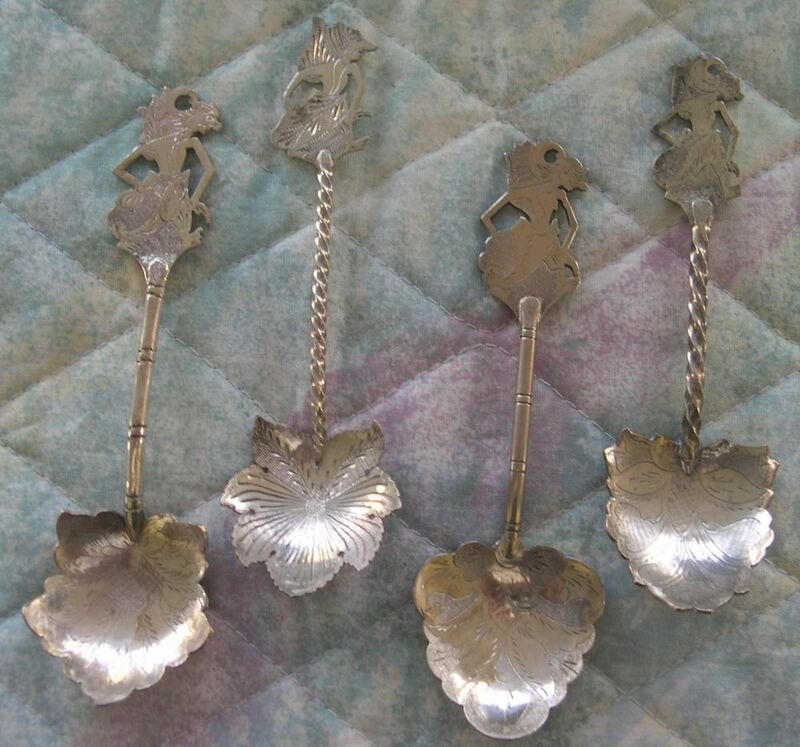 These leaf bowl servers are 5' -6" in length and are made of 800 purity silver. The finials all have wayang figures and the bowls show typical engraving. The shape of the bowl is made by hand using a silver saw. 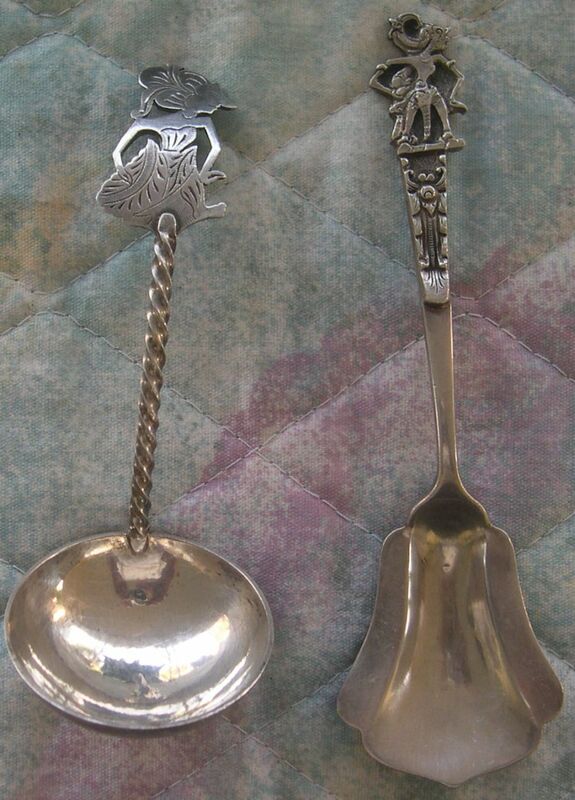 The left bowl is very deep and was probably designed for some type of vegetable server. The finial on this piece also shows two wayang figures and on the upper handle a flying insect is depicted.